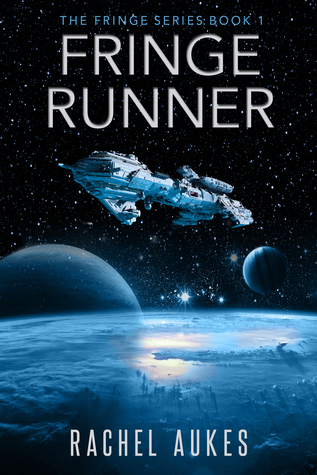 Fringe Runner, by Rachel Aukes is a science fiction novel and also the start of what promises to be a fun series. Unlike a lot of science fiction novels I have read recently, which take place in blasted out worlds where the survivors are struggling with half working tech, this novel spends more time in space than on planets. I liked this high technology environment she created. It was refreshing to have heroes flying from planet to planet and the like. yes there was poverty and hardship, but the main characters also experienced the wonder of space travel. The plot revolves around Captain Reyne and his small crew as they struggle to irk out a living on the fringe planets that are ruled by the Collective, which is made of the two main worlds. The members of the four fringe planets are treated little better than slaves and suffer through harsh conditions and are not even considered citizens of the empire. There was a rebellion, but it ended badly for the Fringe worlds and since then things have just gotten worse. Reyne and his crew get involved with getting a shipment that is later used for a terrorist attack and they quickly discover that the main world, Myr, is seeking to once again dominate the other planets including its ally the Alluvians. Seeing this as a possible chance to improve their circumstances they join in a plot to fight back. Reyne is aided by his old pirate ally, who thinks Reyne betrayed the rebels cause twenty years ago and things get more complicated from there. As I said, I like the high tech aspect of this novel. The space/ship scenes are well written and exciting. The fascist aspect is rough and sets a high level of tension as the heroes are forced to fight against near impossible odds. Trickery and plotting versus an almost unstoppable empire. The heroes are likable and the characters are fun and well developed. Not many things to hold against this novel. 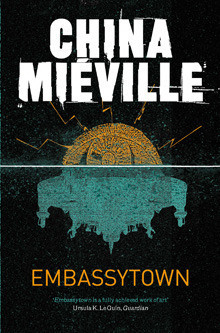 If you like science fiction, you will be enjoying this book. The only thing I didn't like was before the rebellion even started, half of the Fringe worlds were destroyed, which seemed kind of odd. Sort of a oh well, what are we even fighting for since half of everyone was killed already. Very nice novel. Best science fiction I had read in a long while. I would recommend it to all lovers of this genre. I have not read anything by Aukes before, but she has some serious talent. I read this book fast, which is already a good sign. I sure hope she sends me the second book in the series.